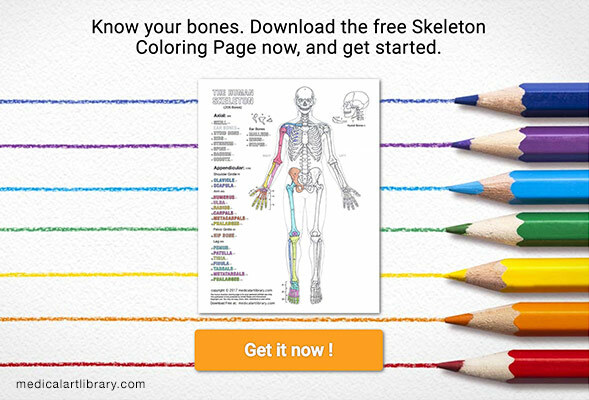 The bones of the leg are the femur, tibia, fibula and patella. The foot bones shown in this diagram are the talus, navicular, cuneiform, cuboid, metatarsals and calcaneus. The knee joint is the largest joint in the body and is primarily a hinge joint, although some sliding and rotation occur. The intercondylar eminence divides the joint into medial and lateral portions and is where the anterior and posterior cruciate ligaments attach. The patella forms a sliding joint over the anterior surface of the femur. 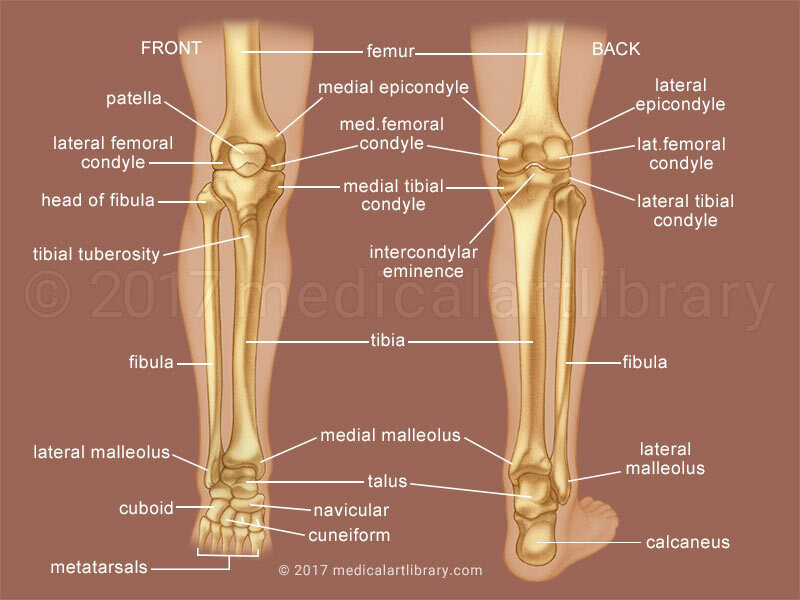 The tibial condyles are flat and slightly concave. These articulate with the femoral condyles which are rounded. Both condylar surfaces are covered by cartilage. The lateral malleolus on the fibula is more prominent than the medial malleolus on the tibia. The patellar ligament attaches to the tibial tuberosity.